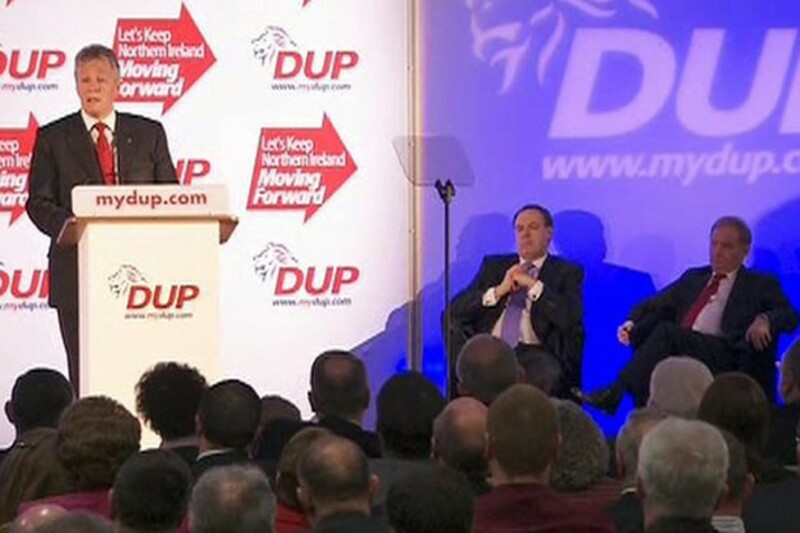 My second gasp-making moment was on BBC Radio 4’s ‘Today’ programme, where John Humphreys was interviewing Peter Robinson about his DUP convention speech, where he said that an attitude of ‘No surrender’ (“Which served us so well in the past”) was no longer appropriate. The last thirty or forty years, Peter said, had created division between people, and it was now time to bring them together again. What must be tackled were things like peace walls which divided people and segregated education which divided children. My jaw dropped and my lungs went on strike. No wonder the English don’t understand this deformed little corner of Ireland. The last thirty or forty years created division? Gimme a break, Peter, would ya? Some of us remember pre-the last thirty or forty years and the divisions were well and truly in place then. In fact, the state of Ulster/NI/ six counties/ etc was created on exactly that – the division between Protestant and Catholic with, it was presumed, a permanent majority for Protestants. But since that wasn’t mentioned, Peter’s little point sounded very solid. Then Peter and John got to talk about those peace walls, neatly confining the problem to the unwashed working-class areas. You don’t get peace walls about Malone; or Holywood; or the middle-class estates of Derry’s Waterside. But do a little head-count or check the statistics – over 90% of people here choose to live separated from their Protestant or Catholic fellow-citizens. When middle-class Catholics moved into Malone, for example, the air was thick with the sound of Protestant bags being packed for North Down. But since that middle-class thing wasn’t mentioned, Peter’s working-class peace-wall-point sounded very solid. As for segregated education – well, no matter how many polls Peter may cite showing a majority in favour of integrated education, the fact is that the vast majority of Protestants choose to send their children to Protestant schools, and Catholics to Catholic schools. But since that wasn’t mentioned, Peter’s little point sounded very solid. What’s more, I know from experience that neither Protestant nor Catholic school staff inculcate sectarianism – in fact most of them work very hard against it. But since that wasn’t mentioned, Peter’s little point sounded very solid.